The library has automatic doors and a hearing loop is installed. There is a lift to the second floor. Please see library services for people with disabilities for further information. 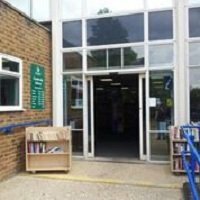 Camberley library has assistive technology for people with disabilities. Please see, Library services for people with disabilities, for further information. Camberley Library is situated between Surrey Heath Borough Council Offices and Camberley Theatre. There are short stay and disabled pay and display parking spaces adjacent to the library. There are also multi storey car parks behind the theatre and next to the shopping centre. These operate a pay-on-foot system.